Today I looked that certain images don't want to be uploaded here and the buffer stuck to 0%. Please help! Could you give a bit more details so that it is easier to figure what is going on. Can you give us the file size, image dimensions and browser you used? Also, there was no need to report your post for it. Edit: I see you uploaded them via the post attachements. It is better to upload images to the gallery. This bug report is just an ask as suggestion for to improve FRACTALFORUMS. can you post a link to the exact image that would not upload? 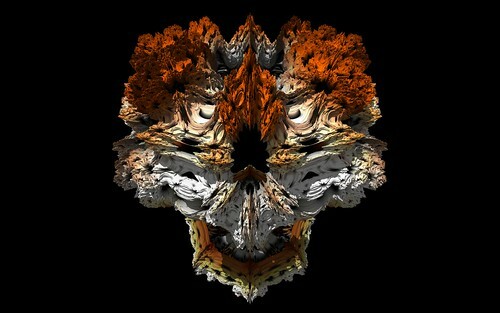 This image unuploadable on FRACTALFORUMS is on site: "https://softologyblog.wordpress.com/2011/07/27/more-new-mandelbulb-variations/"
[img]Image URL[/img]It is easier to do than to download them and then add them by uploading them again. 2. You can't just download images from other sites and upload them here unless you provide a source. Well, softology is a member here, and you're right RedshiftRider, grabbing images from other sites and uploading or attaching is not good, but linking with references is better, and better than that is permission from the owner. @hgjf2 how are you attaching? as url? that won't work (or at least it shouldn't) use [img] tags for remote files! I'm sure this is the problem. Images upload OK, but are then given a forum url that is incredibly long - over 8,000 characters.That exceeds an internal forum limit so the images cannot be included in a post. In other words fractal forums issues a web address to an image that exceeds the character limit that fractal forums uses.It's a server side issue. I need an example, I have had my head in the code and the logs and attached many images. So far I have never encountered a case where the forum generates anything other than a "normal" url. I would think that the issue is from putting a web url in place of a local file name when trying to "upload" and image, that simply won't work! Files from my local machine upload as they should, attachments load and display as they should, img tags display as they should, so a real working example reproducing what you say happens is required. Don't blame the forum servers or code without proof and maybe confirmation or verification from at least 1 other user. I tried to upload an image to the Fractal Forums test area. I took a screengrab of the error message I received and uploaded it to my blog site and then linked it here :(A problem with forums is that admins have different 'roles' with varying 'permissions' etc. That could explain why it's not happening for the admins. Do you still have the link to the image? Could you paste it into a txt file and attach it or paste it into pastebin and share the link to that? I just uploaded the images to the test area and all is good. It's only when I drag and drop images that I get the error message. I wanted to have the images with text above and below but they are placed below any text. Also its not possible for a user to delete their own posts. 'Modifying' a post is good but a user should be able to delete a post. I've never seen the 80000 characters error before though is there any problem with the "Browse" button below the drag'n'drop area? on linux that button accepts drag'n'dropped files but only on pages that have only the button for attaching files. edit: oh, that limit has nothing todo with a url generated by the server it is the message length limit, that means that the goofy bit of java script that is handling the drag'n'drops is trying to read the image into the message text area !